Dimensionality reduction of a feature set is a usual pre-processing step used for image classification to improve their accuracy. In this paper an automatic Computer Aided Diagnostic system (CAD) is proposed for detection of liver diseases like hepatoma and hemangioma from abdominal Computed Tomography (CT) images using an evolutionary approach for feature selection. The liver is segmented using adaptive thresholding. Histogram analyzer is used to fix the threshold and morphological operation is used for post processing. Rules are applied to remove the obstacles. Fuzzy c-Mean (FCM) clustering is used to extract the lesion from the segmented liver. Auto covariance features are extracted from the segmented lesion. 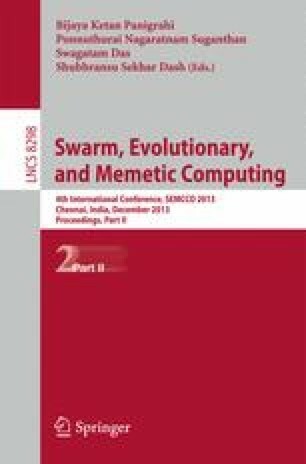 The Binary Particle Swarm Optimization (BPSO) is applied to get the best reduced feature set. The textual information obtained after feature reduction was used to train Probabilistic Neural Network (PNN). The results obtained from different transfer functions are analyzed and compared.